Lots of free time to explore! 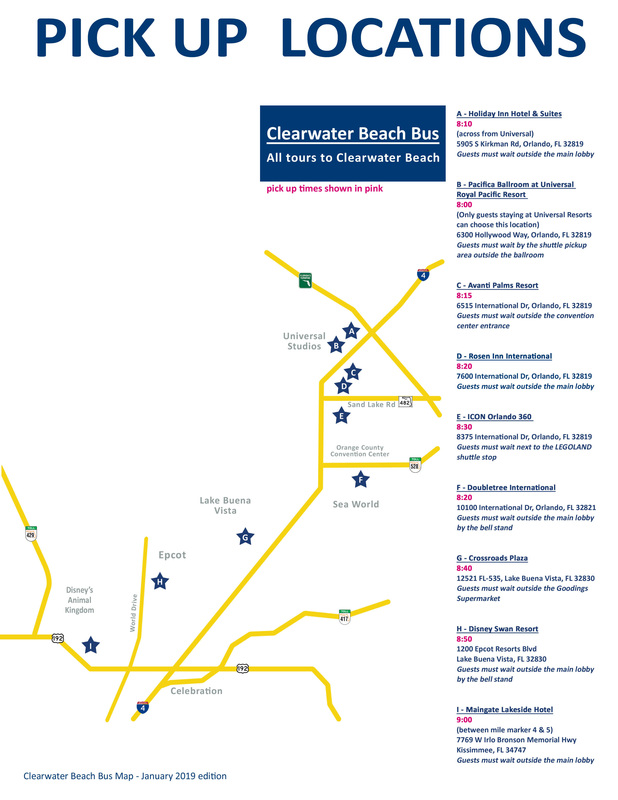 Escape the hustle and bustle of Orlando’s theme parks for a day and relax in the sun on the beautiful Clearwater Beach. No guides, no fixed itinerary, no need to navigate or battle for parking spaces - just enjoy the beach and spend your day however you like! Take a walk along the pier and enjoy the view of the chic waterfront buildings, and browse the street vendors along the Clearwater promenade – you’ll find all kinds of beach essentials like swimsuits, sunglasses, sunscreen and lots of colourful inflatables! Love wrestling? Clearwater Beach is the home of Hulkamania – go and have a look through Hulk Hogan’s very own shop. Come lunchtime, you can try the catch of the day in one of the seafront restaurants and enjoy a cold, refreshing smoothie in a beach bar. Want to add a fun activity to your day on the beach? Check out our selection of activities like Deep Sea Fishing, cruise the Gulf of Mexico on a Pirate Ship, sail into the ocean for a Dolphin Encounter, or ride the thrilling Sea Screamer speedboat.